The location was in a hotel parking lot in Fairview, VA. The "Take It!" took no aforethought. 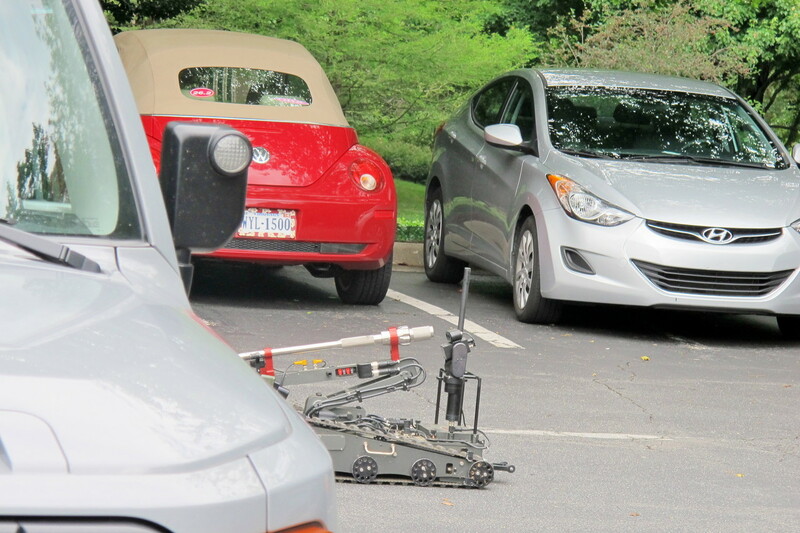 I was quite surprised to pull into the parking lot of this very nice hotel that I had been to before and find a robot moving about the parked cars. There were police everywhere along with technician types who were guiding the bot. I watched it made some maneuvers, then be brought back to the transporter truck. There was a ramp set up at the truck that lead to a closed compartment that had its own lockable door. The bot was directed up the ramp, into its cubby, and the door shut. It was at the time when the bot was put away - that I left and did so without asking any questions. The atmosphere was a bit tense, thus figured moving on, was the right thing to do. 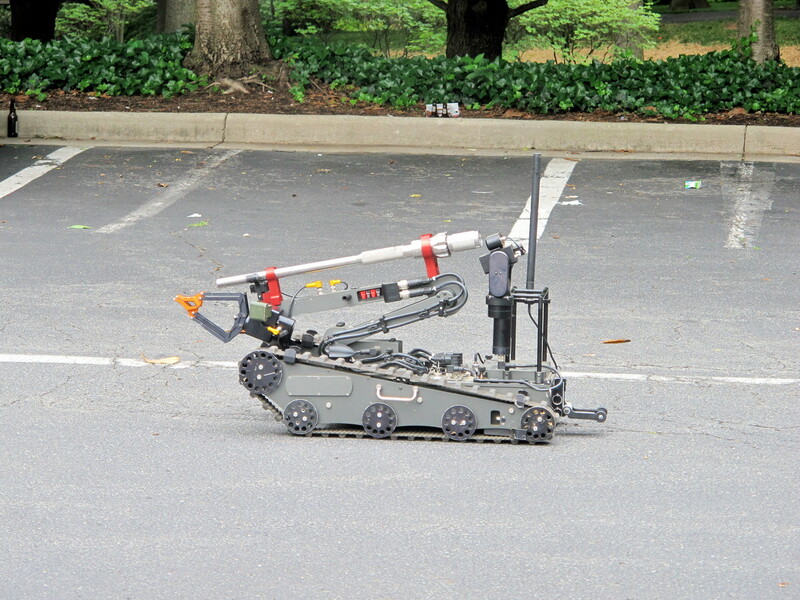 The After Take: Some to whom I showed these photos to had seen robots working for police before. To me, it was all new. I can only imagine the bot had a camera and an arm that could have picked up an item on demand. This is one thing that I can imagine is of enormous help in the right situation in police work. I am glad the local community has the funds to be able to field the help, to reduce the harm's way for their officers. The next set of photos will be on the lighter side. My first thought would be duck and cover. Those things save lives, a police bomb techs best friend!